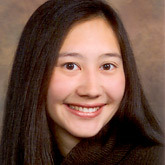 Katie Lee Hwang is studying in the MD/PhD program at Harvard Medical School as a 3rd year medical student. Katie completed her PhD in 2015 at Harvard University in the Division of Medical Sciences, Biological and Biomedical Sciences. She earned her MSc in Immunology from Oxford under a Rhodes Scholarship. She graduated from the University of Minnesota in 2007 with a dual degree in biochemistry and chemistry. When Katie began college at the age of fifteen, her interest in biomedical research quickly crystallized. A two-year Barry M. Goldwater Scholar, she has received numerous academic scholarships and awards, including the Maroon and Gold Leadership Award, the L. M. Henderson Endowed Biochemistry Scholarship and the Sally Herz Scholastic Excellence Award. Katie is an author for the First Aid for the Basic Sciences: Organ Systems (McGraw-Hill) which has been published in 2011. She is also an author of the First Aid Rx Express multimedia lecture series. Conducting research in immunology, Katie utilized a new model system to study B cell development in systemic lupus erythematosus, an autoimmune disease. She also performed research for two summers at Harvard Medical School through the Summer Honors Undergraduate Research Program, where she studied the human papillomavirus. Her honors thesis investigates the metabolism of nicotine and other carcinogens by variant cytochrome P450s. An accomplished musician, she began playing the violin at the age of two and has been concertmaster of the University of Minnesota Campus Orchestra. Katie was a teaching assistant for upper-division biochemistry classes and volunteered for the Immunization Action Plan to promote timely immunizations of children. Katie aspires to become a physician-scientist, combining clinical practice with biomedical research. Current as of June 2015.